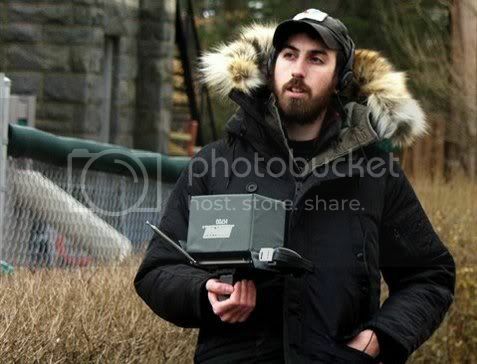 Writer / director Ti West has been in the business for a decade now, helming such memorable – if low-budget – films as 2005’s “The Roost” and 2007’s “Trigger Man,” but it wasn’t until this past year that he finally began to rack up some major critical acclaim, courtesy of a mighty darned cool horror flick called “House of the Devil.” The film made the festival rounds and picked up a lot of buzz, then did a stint on the VOD circuit, but now it’s finally hitting home video, and you can count on it developing a cult following in a rapid fashion. Bullz-Eye talked to Ti in connection with the DVD release of “House of the Devil,” and in addition to discussing how such familiar faces as Tom Noonan and Mary Woronov came into the picture, he also chatted about some of his earlier directorial efforts and acknowledged that he’d much rather Alan Smithee’s name appeared on “Cabin Fever 2” instead of his own. Bullz-Eye: Big fan of the movie. I heard a lot of the buzz about it, but I only finally got to see it once it came out on DVD. BE: Well, in this case, I was more or less familiar with a lot of the films that it was stylistically emulating, so I was, like, “This is sweet.” So what gave you the idea to do this…I don’t know, would you call it an homage? TW: I wouldn’t. People do. But I more just think of it as a period piece. I mean, it’s set in the early ‘80s, so I tried to make it look like it was the early ‘80s, the same way if, it was set in the ‘50s, maybe it would be, like, Technicolor-looking or something like that. I just think that, because that period is so en vogue to reference and it’s so hip and retro to make movies about it, the word “homage” gets thrown around a little bit more than it should. TW: Well, I mean, since the story was about Satanism, more or less, the early ‘80s was really the height of this sort of cultural phenomenon within the United States. Now it’s called “Satanic Panic.” I just remember that growing up very vividly. I don’t know why, but I guess growing up in the suburbs, I just remember that if you went down to the park by yourself, you’d get kidnapped in a van with no windows and they’d sacrifice you to the Devil. And I remember seeing, like, Geraldo and people talking about it on TV, and I just found it really fascinating, so it always stuck with me. So when it came time to make another horror movie, I just wanted to make something Satanic, because I also really like the sort of evocative imagery and all that sort of stuff, so the only time that made sense for me to set that movie was in the early ‘80s. Nowadays, nobody’s worried about the Devil because there’s so many other things to be worried about, whereas in the ‘80s, there was this weird, almost fantasy element to what people were afraid of. 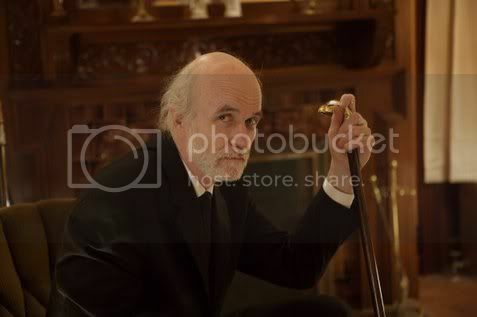 BE: You’ve definitely got a couple of actors in the film who are, if not genre specific, certainly bring to mind a few other creepy movies, like Tom Noonan (“Manhunter”) and Mary Woronov (“Silent Night, Deadly Night”). TW: Definitely, yeah. I’m huge fans of both of them, and I’d worked with Tom before, so it was a pleasure to do it again. 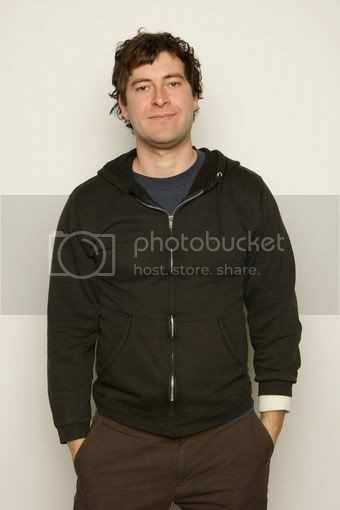 BE: Had you always considered him for the role of Mr. Ulman? TW: Not necessarily. It was one of those things where I was so focused on “how the hell am I going to find a girl who’s going to be in every frame of this movie?” that I hadn’t really given a lot of serious thought to who we were going to cast in that part. And then he E-mailed me and had gotten hold of the script somehow…I still don’t know how he did that…but he’d somehow gotten hold of the script, and he liked it and said, “I think I’d be great for it.” And I was just, like, “Done!” It made it really easy. It wasn’t necessarily written with him in mind, but it wasn’t necessarily not, either, because I know him and I knew he’d be perfect for it. Hey folks. I’ve got a relatively limited amount of time today and, just to add to the drama, the usually excellent free wi-fi at the Coffee Bean & Tea Leaf slowed down today to a relative crawl for a time while I was researching this. Let’s see how much I can cover. * Of course, Sundance continues slogging away, and word of acquisitions by film distributors have been making their way round the usual spots. Indiewire’s Eugene Hernandez has news on the well-regarded “Blue Valentine” with Ryan Gosling and Michelle Williams. He also gives a quick nod to such other highish profile films as “The Tilman Story” (a documentary about the late Pat Tilman), “The Kids Are Alright” (not to be confused with the old rock-doc about the Who) and “Hesher,” a not very appealing sounding film that nevertheless has Joseph Gordon-Levitt in the lead. The “Valentine” sale is of particular interesting as it was the troubled Weinstein Company that picked it up. Coincidentally, the company named for Harvey and Bob Weinstein’s parents, Mira and Max, has gone on the block.